Save up to $43 when you purchase tickets online to see Michael Jackson ONE at Mandalay Bay. Discount based on seating category selected. Rates start at just $89/ticket before taxes and fees. Compare all promotions to get the best rates for the day/time show you would like to attend. Michael Jackson ONE by Cirque du Soleil is a brilliant celebration of the man, the music, and the myth. The lighting, sound, visual, and performance effects are all larger than life. Reserve your tickets now for Michael Jackson ONE and save. Rates start at $94/ticket before fees, taxes, and discount. 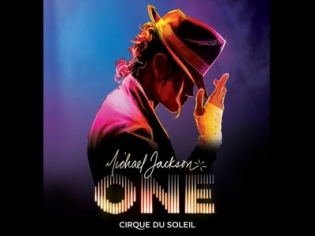 Get your tickets here today for performances of Michael Jackson ONE at Mandalay Bay. Tickets start at just $69 before taxes and fees. The newest Cirque du Soleil extravaganza stars the music of the King of Pop, Michael Jackson, in an all-new state-of-the-art visual and audio experience. The storyline follows four misfits who come to personify Michael’s agility, love, courage and playfulness. The long-awaited collaboration between Cirque du Soleil and the Estate of Michael Jackson is open at Mandalay Bay in Las Vegas. Michael Jackson One is the story of four misfits who set out on an adventure and become transformed. The show is a theatrical discovery of the artistic genius of Jackson and the misfits personify his agility, playfulness, love and courage. Michael’s message of “We are all One” is the guiding force of this production. Michael Jackson is not a character in this show, but rather the over-reaching influence of his music, his message and his love are the theme of the show. The show takes the multi-faceted musical styles and art forms for which Michael was famous and melds them into a journey of transformation. Cirque du Soleil embraced the creative challenge and uses their cutting edge technology to produce a distinctive theatrical experience the King of Pop would be proud of. Expected so much more for a cirque show. Music was way too loud. More was not better with regard to sound system. Best part was thriller performance and hologram of MJ in never land. Everything came alive in the performance. I absolutely loved the songs and performing. Such great dancing, I’m in awe still! We absolutely loved this show! The music sounded excellent. Jalles Franco sure did sound identical to MJ. The effects added so much to the performance. The cast members were highly energetic and had great dance moves. If you liked MJ, you’ll be impressed with this show. A must see show for any Michael Jackson fan. Best musical experience in LV. Everything wonderful, the best of the best,amazing show, sound,performance is great. We could have sat down and watched it again. Brilliant. This show had me at the edge of my seat and left me in awe of everything that I saw! I had no clue what to expect next and each time I was more surprised than the last! The acrobats and gymnasts performance were spectacular! The soundtrack made everything come alive – Great Performance! Worth the extra money. We saw other shows which were great. But this was a fantastic production! This show was AMAZING !!!!! Worth every penny I paid for the tickets. Great sound system. Great performers. Great visual effects. Hope to see it again soon! !